Hockey moms are a rare breed. We spend an enormous amount of time freezing our tails off watching our sons whack a puck with a stick. We wake early and drive several hours every week to allow our children to play a sport that requires signing a waiver warning of serious injury, paralysis and possible death. 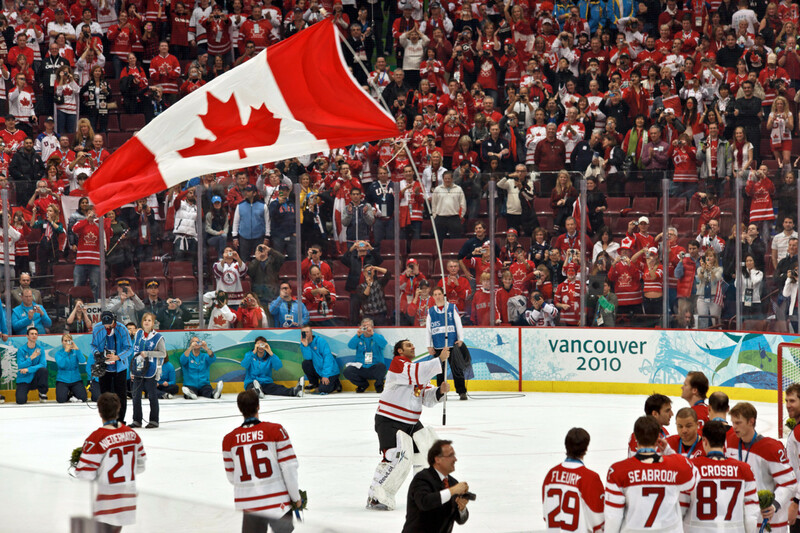 We are required to release all liability against the hockey organization and the rink. Most hockey parents think the biggest risk is obtaining a concussion. Many, like myself, have researched concussions so we can identify the warning signs. 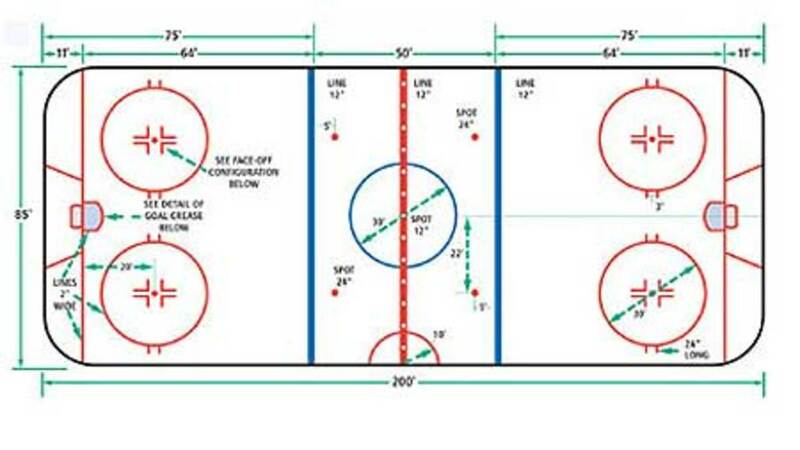 However, another fairly common risk, rarely talked about at the rinks, is called Haglund’s deformity, or otherwise known as the “Bauer Bump” or “Pump Bump.” Though the severity is not close to the same as a concussion, the implications of Haglund's Deformity can be long lasting. Haglund’s deformity is a bony growth on the back of the heel. It literally looks like an extra bone is growing out of the heel. 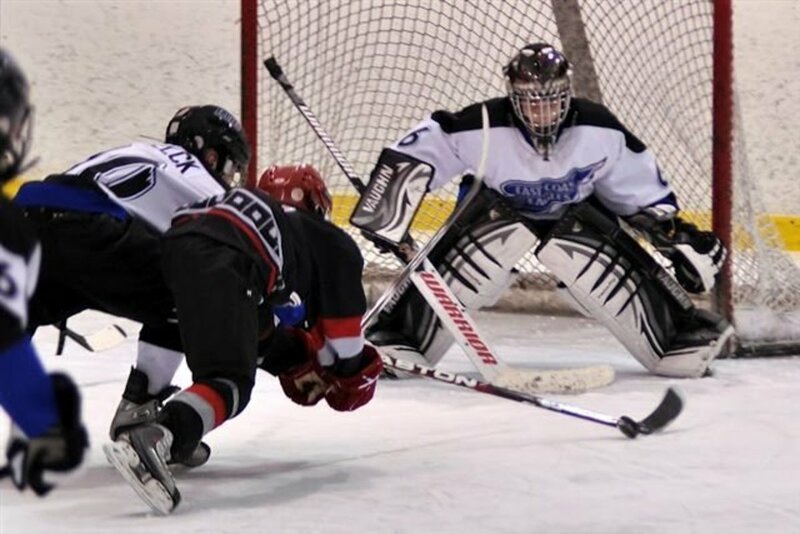 My thirteen year-old son, who has been playing ice hockey for five years, has Haglund’s deformity. My son’s sports medicine physician recognized it immediately it and cited his hockey skates as the culprit. I never knew my son would have this massive growth on the back of his heel from wearing skates so much. This is not a callus or a blister—it is a hard bone that is growing. 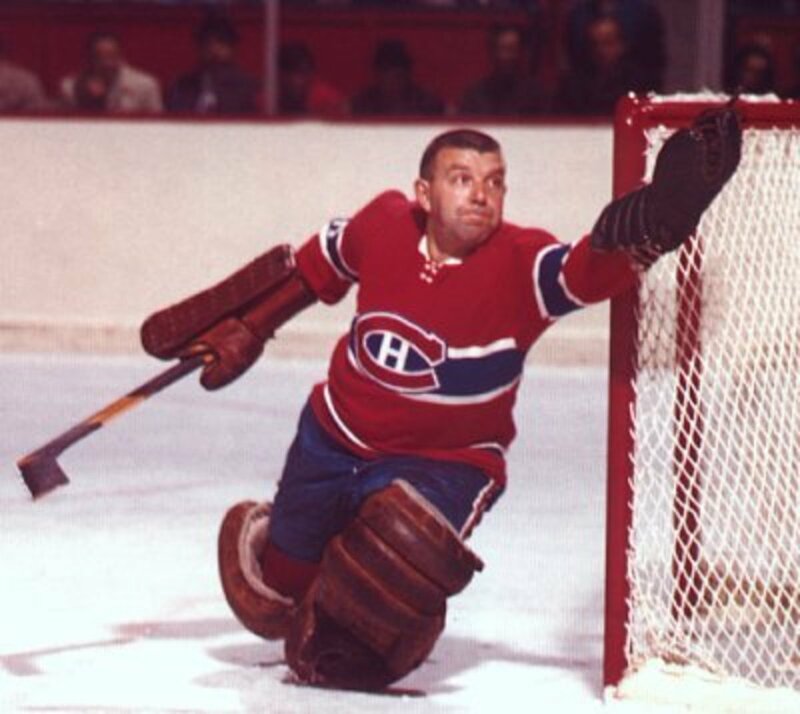 The doctor assured me that professional hockey players have much larger growths. The bone growth occurs at the base of the Achilles tendon. The area near this tendon becomes inflamed when the bony protrusion rubs inside shoes or skates and can often lead to painful bursitis. Wearing shoes that do not fit properly or that apply excessive pressure and friction on the heel bone is the main cause. 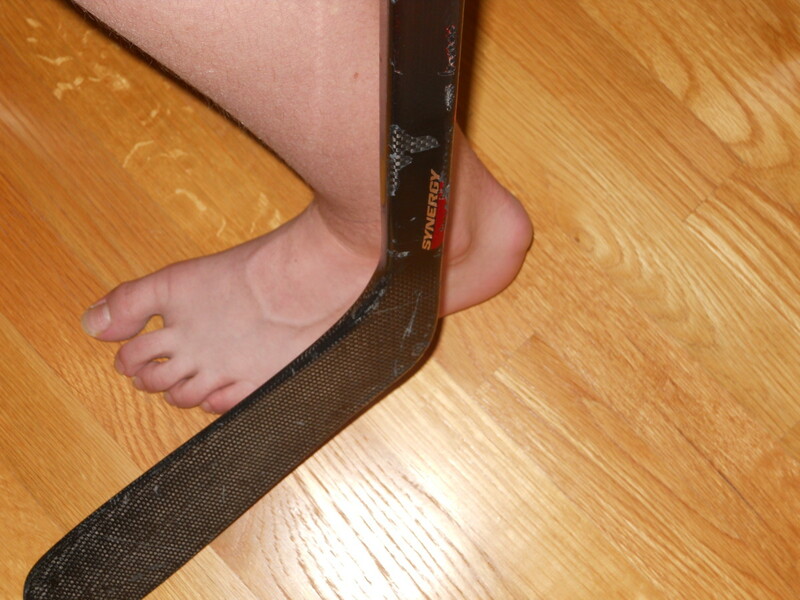 This constant irritation of the upper portion of the heel bone rubbing against the Achilles tendon eventually causes the bony protrusion and possible bursitis.The rigid backs of skates can create pressure that aggravates the enlarged bone when skating. In fact, any shoes with a hard back, such as ice skates, men’s dress shoes, or women’s pumps, can cause this irritation. Heredity can even play a role in Haglund’s deformity. Certain types of foot structures, such as high arches, can make you more prone to developing this sometimes painful condition. With high arches, the heel bone is tilted backward into the Achilles tendon. This causes the inflamed bursa that creates the redness and swelling associated with Haglund’s deformity. 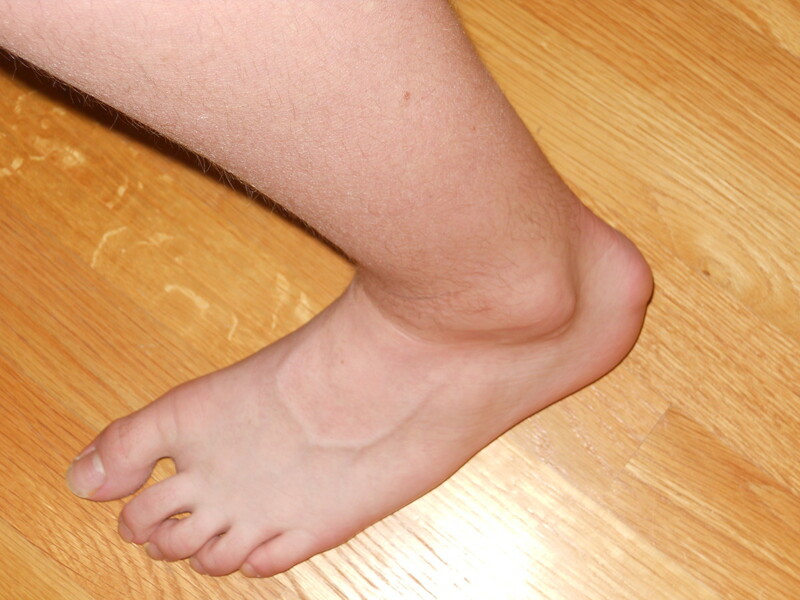 A tight Achilles tendon can also play a role in Haglund’s deformity, causing pain by compressing the tender and inflamed bursa. A more flexible tendon has less pressure against the painful bursa. It may be called the Bauer Bump at the ice rinks, but make no mistake, Haglund's deformity is not exclusive to Bauer skates. My son wears Canadian-made Grafs, which are worn by many professional hockey players. The brand of skate is no determining factor, but the fit of the skate is extremely important. If a skate is too big, there will be more friction. If a skate is too small, there is excessive pressure on the heel bone. Haglund's deformity can also be known as the "Pump Bump" when seen in women who wear high heels for long periods of time. Depending on the level of pain associated with the bony protrusion, there are non-invasive treatment options. When all other treatment fails and the pain associated with Haglund's deformity inhibits desired activities, surgery to remove the bone growth is used as a last resort. Can this growth appear on the side of the foot and not just the back? Typically Haglund's Deformity is on the back of the foot. However, it is best to check with a medical professional to diagnose the issue, so you know how to treat it accurately. Good luck! Hi Ruth Anne, I am so sorry your son is experiencing the same condition. I think the fit of the skate is more important than the brand. My son switched to Grafs and it seemed to fit him better. Good luck! My son has this condition and it has become very difficult for him to skate. Is there a better brand of skate he should use? Hi Deven--great advice to focus on comfort. 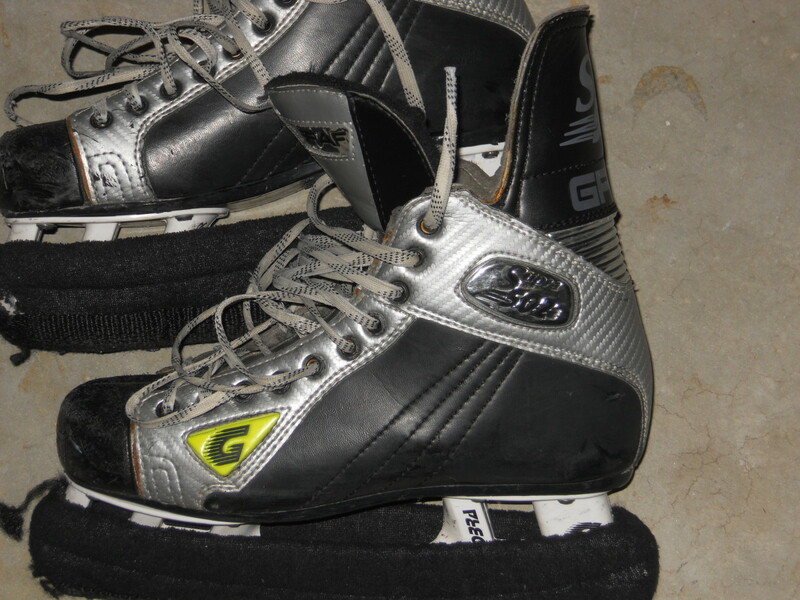 I wish there were more knowledgeable people selling skates who knew how to guide parents when purchasing skates for their kids. Been playing hockey for 15 years now, all levels. Have had this issue growing up. It continued to get worse until I switched up my skates. Was wearing Bauer Vapors for a long time (slim heel width), used Reebok for a year because of the cushioning that it has (made a big difference), and then switched to Bauer Supreme (normal heel width). Have been using the same supremes now for 5 years now. Can confidently say that the width of the heel made the difference for myself. I wish i knew earlier. Make sure that comfort takes precedence over performance. 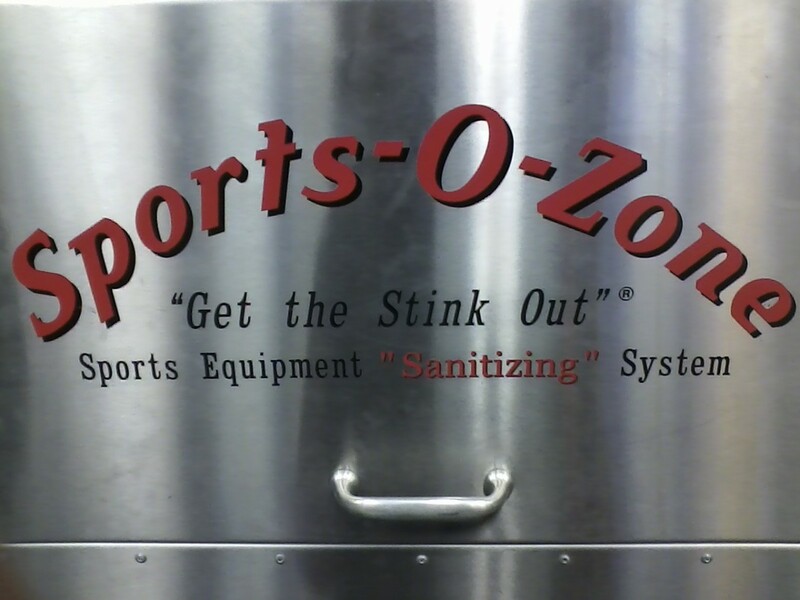 It will make the players training more enjoyable, beneficial, and safe. I've been noticing these gnarly bumps on the backs of my 9 year olds heels... finally asked Dr. google and it led me here. He's only told me a couple times that his heels were burning a little towards the end of a camp day. He's logged 19 hours on the ice in the last 9 days so the bumps have weird peeling skin on them too. Had this for years. Got surgery, punched out skates, rested, new skates, shots in ankle, etc etc..
On a whim I took out my insoles to try get my heel deeper in the boot. That worked like magic. I've been playing without an insole for more than 10 years since then and haven't had the heel issue again. Hi Janet! Yes, It is alarming at first to see that big bump on the back of a kid's foot isn't it? 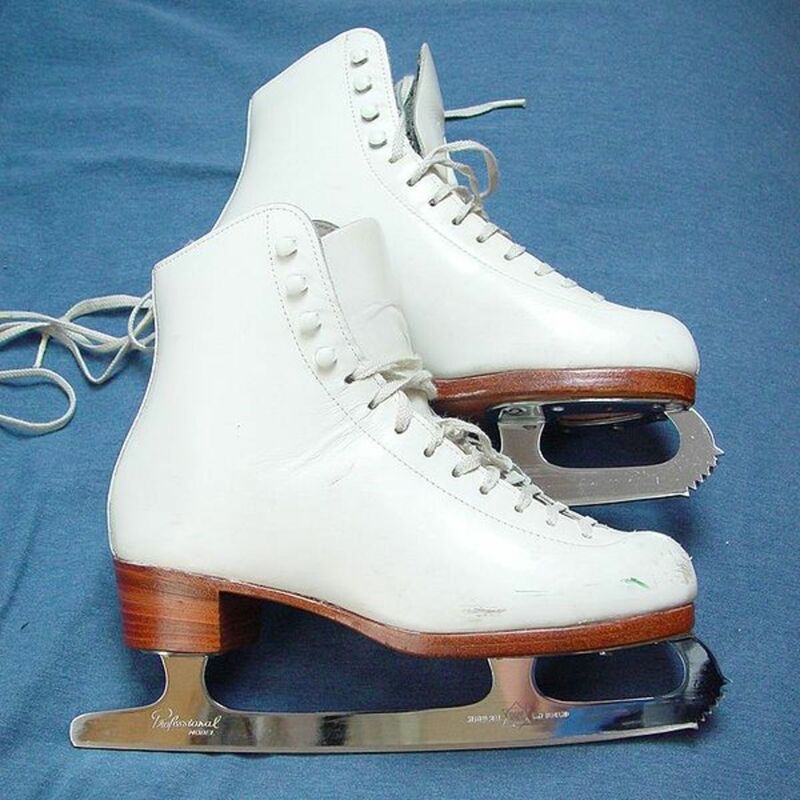 On the performance issue, perhaps skates that don't fit as well as they should do to the bump may be an issue, unless he is having a lot of pain when skating and that is the reason. I can share with you that my son is now 18, no longer a hockey player, but a distance runner. His Haglund's Deformity doesn't look nearly as big now that his foot has grown (to a size 13)! Good luck to you and enjoy those hockey years! Thank you for the info! My son is a fairly strong skater and pretty fast, but lately he has been, well just something off a little - he explained his heel is burning a bit. I looked and wow, inflamed bump on each heel. Which obviously got me searching and I found this discussion board. Not sure where or what to do at this point, clearly a visit to the Dr.'s and see where that takes us. Silly question,but I assume this could cause some performance issues? David, due to privacy isues, I bet your surgeon would not be able to give you a couple names of his patients who have undergone the surgery to talk to. I would check out the online hockey forums. Tahoedoc here on hubpages may be a good resource for you as well. Good luck!! Are you a hockey player? I think my son will need this surgery some day too, so I am intersted in how you proceed. Please let me know what you decide. I have this and im trying to decide if i want the surgery or not...Anyone know where they could point me in the right direction? Thanks for posting helpful info with a prevention guide and treatment options! Hi wilderness. Thanks for checking out my hub. I look forward to working with you on team 3! It seems that the more we have our children in sports the more injuries and problems we find. A great hub about something that few have heard about. Well done.